Today, adults get into a hurry, while meeting the preparations for the big celebration in the eve. Today, children eyes sparkle in expectation of the presents they will receive. Today, Christians from different cultures, in different parts of the world gather with their families and friends to ignite the spirit of Jesus’ birth. Today, we hope and pray that love and peace surround all those who are involved in Christmas festivities – in private as well as in public places. Today, we want to spread the light and be the light for all the religious minorities, fearing to live their religious believes due to harassment, persecution and violence. Although Christmas is celebrated only by a minority of Indonesians, the public interest is big. Christmas decoration in shopping malls, like Lippo Plaza in Kuta but also in hotels, restaurants and streets contributes to the proper Christmas atmosphere. 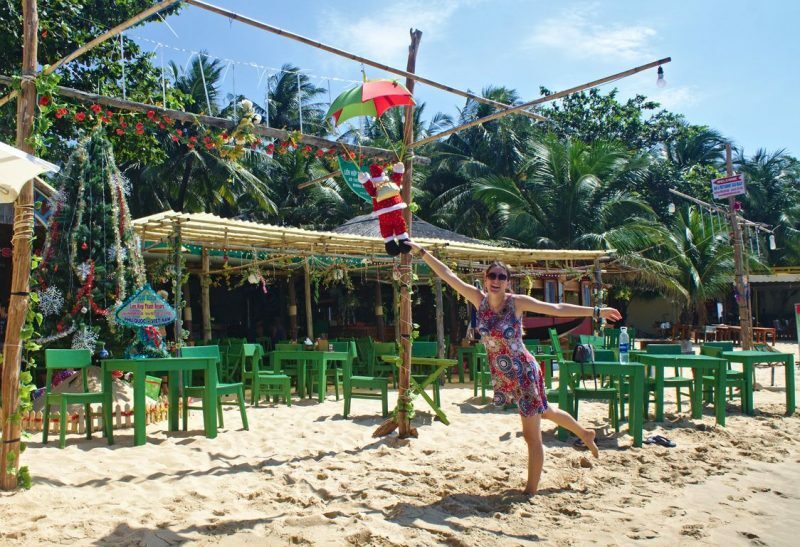 Bali is a tourist hotspot during Christmas season. That’s why the island is putting quite some effort in creating this special Christmas magic that makes the hearts of children and adults alike beat faster. Around 10% of the country is populated by Christians, representing the biggest minority in Indonesia. As there is no state religion, Indonesia is regarded as a harmonious rag rug making up a large number of communities belonging to the religions of Islam, Protestantism, Catholicism, Hinduism, Buddhism, and Confucianism. Pancasila stands for the state’s philosophy : Belief in the one and only God. President Joko ‘Jokowi’ Widodo will attend the annual national Christmas celebration in Kupang (capital of East Nusa Tenggara). To spread the message of religious tolerance all over the country, the Indonesian Bishops Conference (KWI) and the Indonesian Council of Churches (PGI) issue their annual Christmas message. It shall remind the people to put harmony and mutual understanding above personal religious believes. Indonesia shall be a common home to all folks irrespective of their ethnicity, religion and race. In the early 18th century Indonesia was considered Dutch territory. In this time it was given the name ‘Dutch East Indies’. It was ruled by the Dutch East India Company, until World War II brought independence. The Dutch way of life as well a their traditions had a big impact on the Indonesian people. So did Christmas. Even after Indonesia gained sovereignty, the Dutch Christmas traditions remained. A lot of Indonesians still celebrate Christmas by preparing Dutch pastry or passing a wish to Sinterklaas. ‘Operation Candle’ is a code used to ensure safety during all Christmas and New Year festivities through security forces, stationed at churches and public sites. Indonesian Christmas services have sadly experienced religious harassment on Christmas Eve 2000. Churches in Jakarta, Java, Sumatera and Nusa Tenggara were attacked by radical Islamists, leaving dead and injured locals behind. The memories are still present in the heads of the people, fueling fears of new terror attacks. The atmosphere at public Christmas celebrations is therefore on high alert. Security patrols guarding churches and shopping malls provoke a tense feeling. This makes it very difficult to enjoy the magic of Christmas. 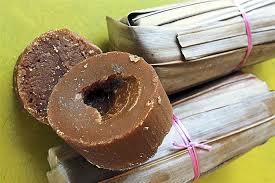 Dodol is a sweet sticky rice cake. Penjor is a bamboo stick decorated with young coconut leaves and colorful ornaments. It’s highly likely that you will come across this traditional Balinese-Hindu decoration in the Tuka village located in Badung, Kuta. It’s the first place in Bali to introduce Christianity and therefore the best place to experience Balinese Christmas as a mix of Christian and Balinese-Hindu traditions. Silent Night is the worldwide most famous Christmas carol, composed by the Austrian Franz Xaver Gruber in 1818. Even in Indonesia Silent Night, Malam Kudus, is sung in all Christian church services throughout Christmas. 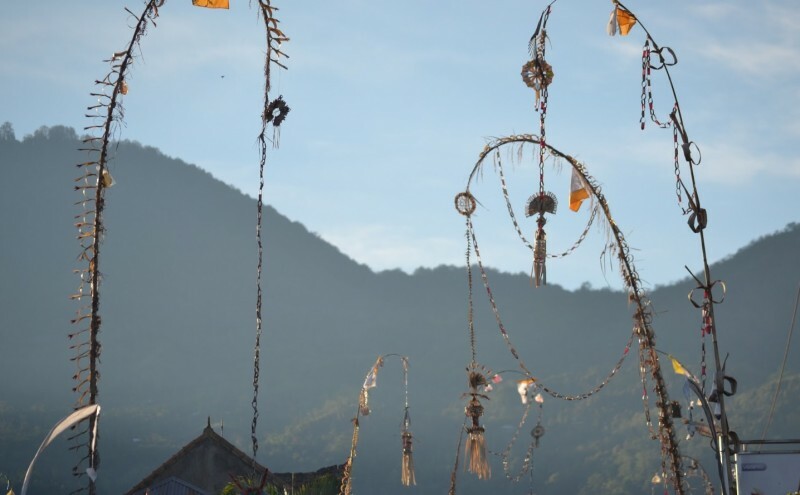 The Ngejot tradition is deeply rooted in the Christian villages of Bali. On Christmas day the Christian family prepares food not only for themselves but also for their neighbors, no matter their religion. Accepting such a gift from a member from another community of faith is a symbol of respect. It’s a nice gesture to demonstrate that different groups of belief can show their commitment for each other. In return, the Hindu family treats their Christian neighbor on their own big day, Galungan. Where to Stay and Eat on a Budget in Ubud?